ALL TREES ARE $75 - Price includes tax. Price is for tree of any height. Chevron gas station if needed. tying the tree to your vehicle. Noble Fir and Blue Spruce have been planted. They will most likely be ready to cut in 3 to 4 years. The Douglas Fir (Pseudotsuga menziesii) also known as Oregon pine or Douglas spruce, is an evergreen conifer species native to western North America. The common name honors David Douglas, an intrepid Scottish botanist and collector who first reported the extraordinary nature and potential of the species. 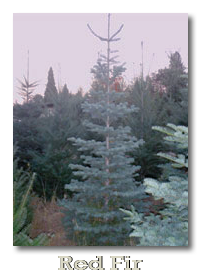 The common name is misleading since it is not a true fir, i.e., not a member of the genus Abies. Coast Douglas fir is currently the second-tallest conifer in the world (after coast redwood). Extant coast Douglas fir trees 60–75 m (197–246 ft) or more in height and 1.5–2 m (4.9–6.6 ft) in diameter are common in old growth stands, and maximum heights of 100–120 m (330–390 ft) and diameters up to 4.5–6 m (15–20 ft) have been documented. The tallest living specimen is the "Doerner Fir", previously known as the Brummit Fir, 99.4 m (326 ft) tall, at East Fork Brummit Creek in Coos County, Oregon, the stoutest is the "Queets Fir", 4.85 m (15.9 ft) in diameter, in the Queets River valley of Olympic National Park in Washington. Douglas firs commonly live more than 500 years and occasionally more than 1,000 years. The White Fir (Abies concolor) is a fir native to the mountains of western North America, occurring at elevations of 900–3,400 m (2,952–11,154 ft). 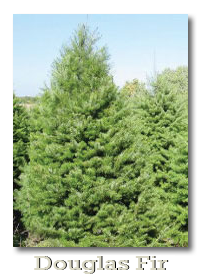 It is a medium to large evergreen coniferous tree growing to 25–60 m (80–197 ft) tall and with a trunk diameter of up to 2 m (6.5 ft). It is popular as an ornamental landscaping tree and as a Christmas tree. 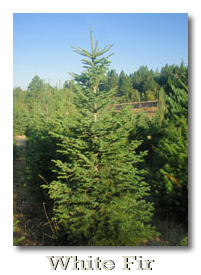 It is sometimes known as concolor fir. The Red Fir (Abies magnifica) silvertip fir, is a western North American fir, native to the mountains of southwest Oregon and California in the United States. It is a high elevation tree, typically occurring at 1,400–2,700 metres (4,600–8,900 ft) elevation, though only rarely reaching tree line. The name red fir derives from the bark color of old trees. 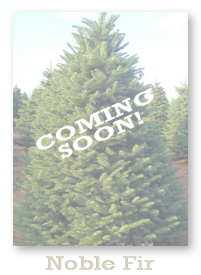 Abies magnifica is a large evergreen tree typically up to 40–60 metres (130–200 ft) tall and 2 metres (6.6 ft) trunk diameter, rarely to 76.5 metres (251 ft) tall and 3 metres (9.8 ft) diameter, with a narrow conic crown. The bark on young trees is smooth, grey, and with resin blisters, becoming orange-red, rough and fissured on old trees. The leaves are needle-like, 2-3.5 cm long, glaucous blue-green above and below with strong stomatal bands, and an acute tip. They are arranged spirally on the shoot, but twisted slightly s-shaped to be upcurved above the shoot. The cones are erect, 9–21 cm long, yellow-green (occasionally purple), ripening brown and disintegrating to release the winged seeds in fall. Did you read about the trees or did you just scroll to the bottom? QUIZ: Which tree is not a "true" Fir?